Texas Hold 'em poker is the most realistic poker game around. Whether you're a beginner or a pro, enjoy the thrill of the perfect hand or the perfect bluff. Test your skills in ring games and tournaments, or fine-tune your skills playing the scenario you always wanted to be in. Customize the game however you want. 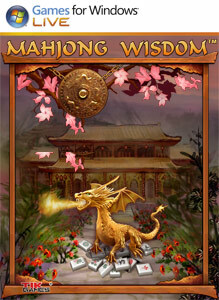 The comprehensive help provides details on each aspect of the game. Texas Hold 'em has it all—play it today! It's the closest thing to actually being there. Lucky Day or Crafty Bluffer? Win with a High Card hand of 9 or less. Win an 'All In' bet. Place a bet of $50,000 or more. Get one of every type of hand from High Card to Royal Flush. Casino Games That Every Xbox Console Should Have! It's dominos with all the bells and whistles in Domino Master. Play solo or against friends and family in any of five exciting game variations including Mexican Train, All 3's, All 5's, Straight Dominos, or Bergen. See if you have what it takes to move up the ranks and score the coveted spot at the top of the Leaderboards or grab the exciting achie..
Minesweeper has come a long way since the days of the 9-by-9 grid! Minesweeper Flags includes the classic grid game, but if you're looking for real action, check out Flags where you must secure the mines instead of avoiding them! Minesweeper Flags also delivers exciting multiplayer action for up to four players, deep stats to track your rankings, r..
Scarygirl is a wondrous adventure through a beautifully-bizarre world based on the Scarygirl graphic novel created by acclaimed artist Nathan Jurevicius. 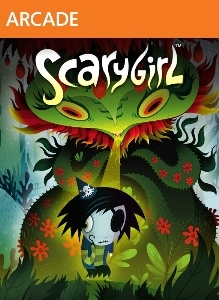 Scarygirl, an abandoned girl, dressed like a pirate, with a tentacle arm, is sent on a quest to discover what happened to the Tree of Knowledge. Along the way, she’ll be aided by a giant octopus, ..